In this day and age, new, problem-solving inventions are abundant, particularly when it comes to kitchen gadgets. 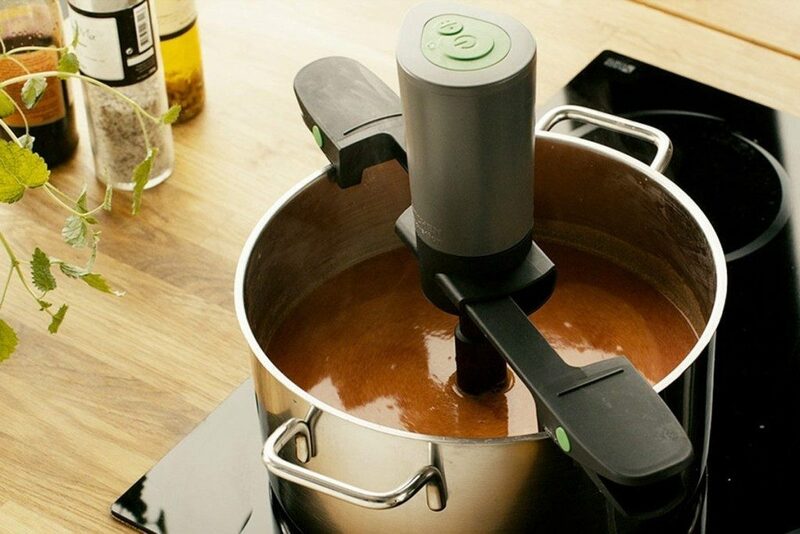 To save you trawling the internet for the most amazing kitchen gadgets you never knew you needed, we have shortlisted some of our favourites below. Defrost your food faster with ThawTHAT! Have you ever got half way through the day and realised you had forgotten to take the chicken out of the freezer for dinner? Well ThawTHAT! Is going to solve all of your problems. This nifty board thaws food up to two and half times faster than traditional defrosting without using any electricity, making it much more eco-friendly than the microwave! Check out the ThawTHAT!Deluxe here. With smartphones and other gadgets rapidly evolving to help us with everyday tasks, it wasn’t going to be long before we would be able to cook a meal from our phones. 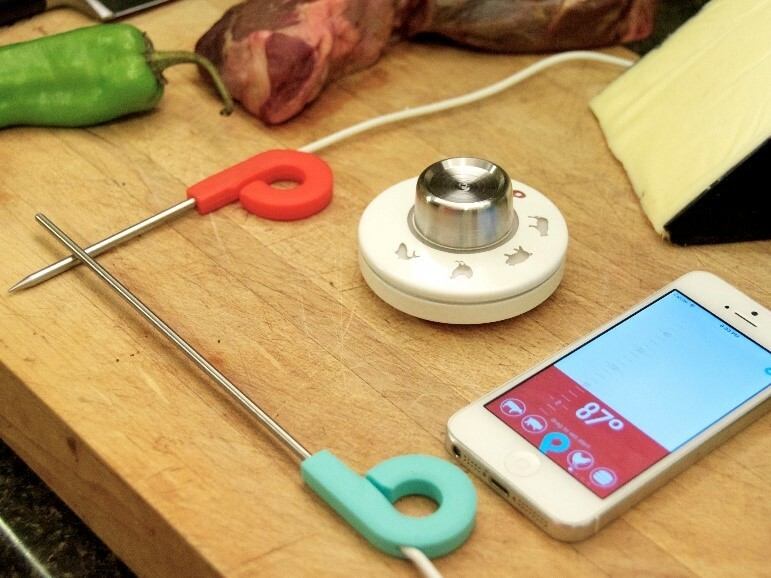 Range is a smart thermometer which allows you to cook your food to perfection; there are pre-sets for meat and sweet making and you can receive notifications when your food is done! Get the Range smart thermometer here. It wouldn’t be a list of kitchen gadgets without at least one mention of Joseph Joseph. 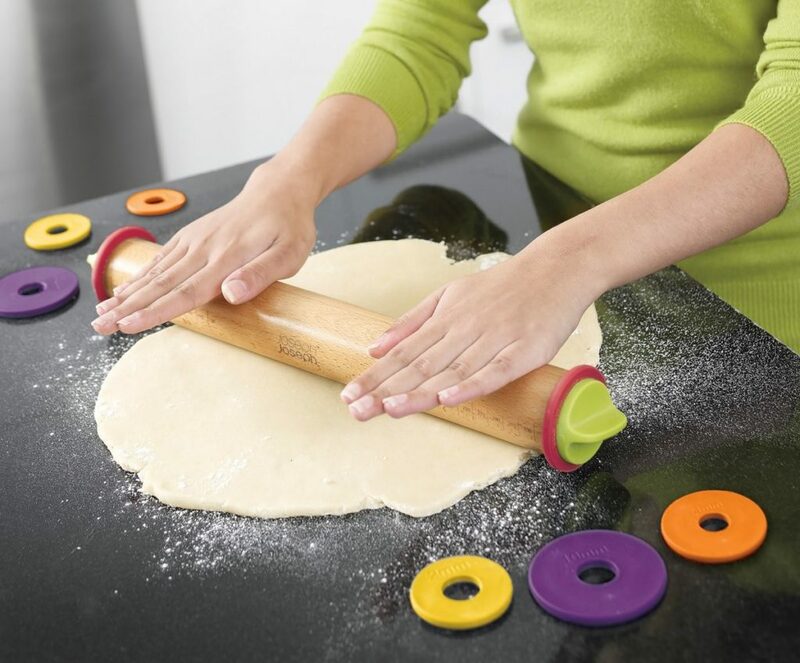 This super handy wooden rolling pin has four ring sizes to pop on to the ends, ensuring you get the exact thickness you need – no more undercooked pie lids! Many of us have probably been in the situation where getting the stone out of an avocado is an impossible task. 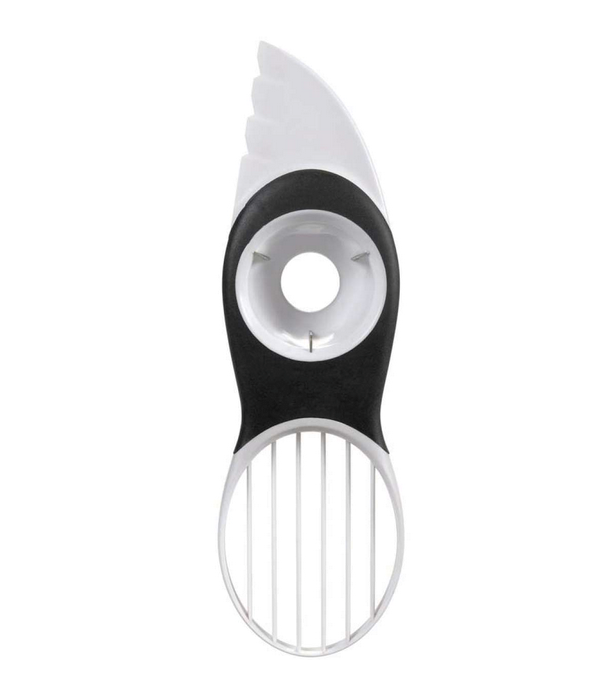 This handy kitchen gadget by OXO solves that issue! Not only does it help with removing the stone, it also has a plastic blade to cut through the skin and a fan blade to perfectly slice and scoop out the avocado. We all know that feeling when you go to the fridge for a nice cold glass of wine after a long day at work, only to discover that you forgot to put it in the fridge. Well, now there is a solution! 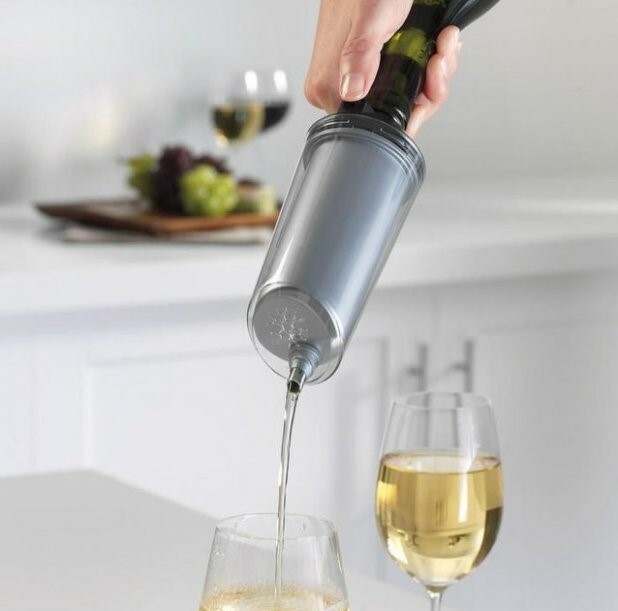 This instant wine chiller gadget slots onto the wine bottle and chills it as your pour, meaning no waiting and no messy ice bucket. All you need to do is keep it in the kitchen freezer and it will do the job for an entire bottle of wine or 60 minutes. Quite often recipes require you to dedicate a huge chunk of time to stirring. Well, not anymore; this automatic stirrer is adjustable to fit most pots, has different speed options and lets you sit down whilst it does all of the hard work. Relax your way to perfect risottos, porridge, stews and more! If you’re a kitchen connoisseur, check out our top 6 cheap and chic tips to upgrade your kitchen on a budget!